Master the art of online teaching and design an effective learning environment within your field of interest. The OLC Mastery Series Program emphasizes theory and application of research on key topics and culminates in a Recognition of Mastery in a topic. Each series consists of three week-long modules that help you explore relevant research and use that research to help you design an effective teaching and learning environment. Successful participants of a Mastery Series program will receive a PDF certificate of completion, as well as a digital badge of completion via Credly*. *Please note that badges will not be issued for programs prior to 2018. Did you know that your OLC Mastery Series Program also earns you credits toward advanced college degrees? Find out more. See the OLC Institute Schedule Here! Get the lowest prices on multiple OLC workshops with the OLC Workshop Pass. 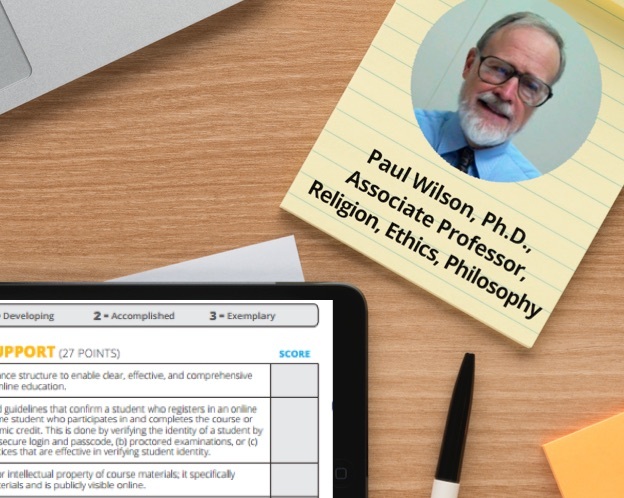 Find out how attending the OLC Quality Scorecard Mastery Series helped broaden Dr. Paul Wilson’s use of Quality Scorecard to develop a 360-degree vision of his institution’s online program, and provide him with a specific focus on faculty instruction.